This book was all the hype some time ago, so I decided to not pick it up back then and just wait until everything settled down a bit (and angstily avoided reviews as to not get spoiled, though now I’m getting around to reading the reviews most of them just talk about a big twist nobody saw coming and that’s it, so I needn’t have worried as much). Then I bought the book for my sister and now I’m borrowing it off of her (it’s like gifting a book twice, once to her and once to myself, it’s awesome!). So I read the book and I liked it a lot. The writing took some time for me to get used to. It also wasn’t the most consistent of writing styles (I think it was intended this way, don’t worry. Sometimes it read pretty easy and at other times it would get a bit choppy. It’s not that I minded either style (the choppy one was of a more poetic variety) but the combination and the switching between the styles just made it a bit harder for me to get into the book. The characters in the book weren’t a lot to my liking. The main character was very theatric, but then again, who wasn’t during their teens? She calls her cousins (and a friend) the “liars”, though to me it never becomes super clear why. There’s a bit of an explanation there, but for me that just wasn’t enough. I didn’t feel it and it also felt a bit forced. 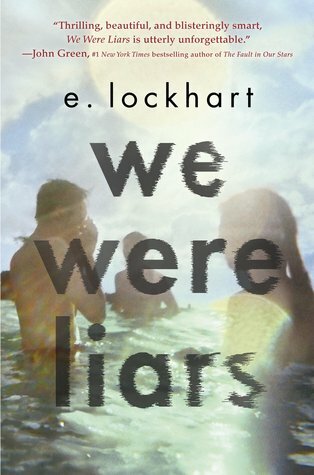 The “Liars” themselves weren’t really all that fleshed out, which is sad, because I think it would have added to the book to get to know more people in the story. We only get to meet other characters on a superficial level. This was a book without a very strong plot (action-wise) and I missed that at times. But there were definitely some things that I did like about the book. For example: it has a map right at the beginning, also a family tree. I think that was pretty cool and I know that at multiple times in the book I went back to these to see who lived where again and who was related to someone in a certain way. There are a couple of fairy tales in here, not in their original shape but fun nonetheless. I liked the memories to previous summers, it did create a more vivid image in my mind of how these times spent on the island were experienced by the main character. The twist itself was totally unexpected for me and I enjoyed that quite a bit. I also really like how it leaves the reader with a lot of questions about this particular thing (sorry to be really vague, but being spoiler free is hard work!) and how there are some full on discussions about this happening online. 3 stars ~ In the end I’m a bit in the middle of this book. I like a decent amount of aspects of this book while I also dislike some other parts. But one thing is for sure: I loved going in blind!